High school students, have you ever dreamed of sharing your passion for nature photography with others your age? Would you enjoy going out into the field with professional nature photographers to learn more about natural history and photography? The NANPA High School Scholarship Program is an immersive education program based at the Great Smoky Mountains Institute at Tremont in the Great Smoky Mountains National Park (learn more at http://www.gsmit.org). The program takes place annually in July – this year July 1-6. This special photography program is open to ten high school students who are interested in nature and nature photography. Combining classroom and field-based instruction, students will have the chance to improve their nature photography skills, learn about NANPA, meet industry professionals, and gain an appreciation of the Smoky Mountains’ rich natural history. Student recipients are responsible for a $175 registration fee and their transportation to the Great Smoky Mountains Institute at Tremont, TN. The application period for the 2019 High School Scholarship Program is now closed. Information about the 2020 program will be posted in August 2019. 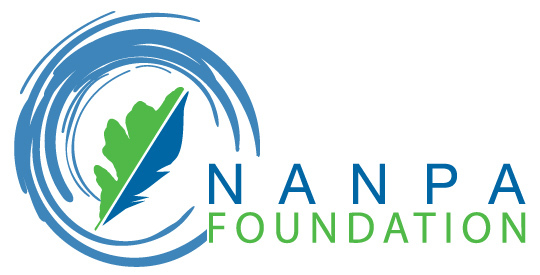 Monies donated to the NANPA Foundation in memory of Nancy Rotenberg are used to support the NANPA High School Student Scholarship Program. Rotenberg was a NANPA volunteer who devoted much of her time to the high school program. Students may apply for assistance with the registration fee from this fund. Contact the program administrator for more information. Want to support the high school program? Donate now and type High School Program in the comments box. Photography Field Trips: Each day, the group will spend time out in the national park, learning about macro, wildlife and landscape photography in the field. The group will visit local waterfalls, mountain overlooks, and the famous Cades Cove area. Biodiversity Education: Students will learn about the biodiversity and biology of the region through an orientation led by environmental educators at GSMIT and by local NANPA members involved in biodiversity research. Classroom Instruction: Each day, program instructors and local NANPA professional photographers will provide classroom-based instruction on photography techniques, photo editing, and environmental photography. Group Project: Students will work together over the course of the program to create a photo story about an aspect of the Great Smoky Mountains National Park ecosystem. At the end of the week, students will present the results of their work at a reception open to NANPA members in the area. Pro for the Day: Each day, a professional NANPA member will join students in the field to provide instruction and inspiration. Read what the 2016 recipients had to say about their experience in the Smoky Mountain Journal of Photography.